After making the Teal Multi-Strand Necklace that took a few mishaps before getting right I decided my next necklace should be something a bit simpler. 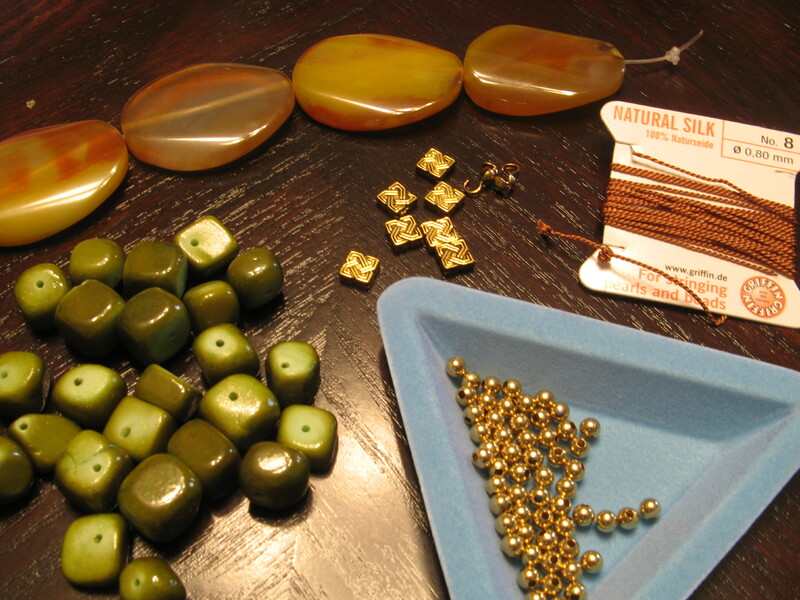 So I opted for a basic stringing technique to string semi-precious dyed agate oval beads and dark green dyed jade nuggets using natural silk bead cord in carnelian size 8 – even though you can’t see the thread I still like to use a color that’s complementary to the beads. 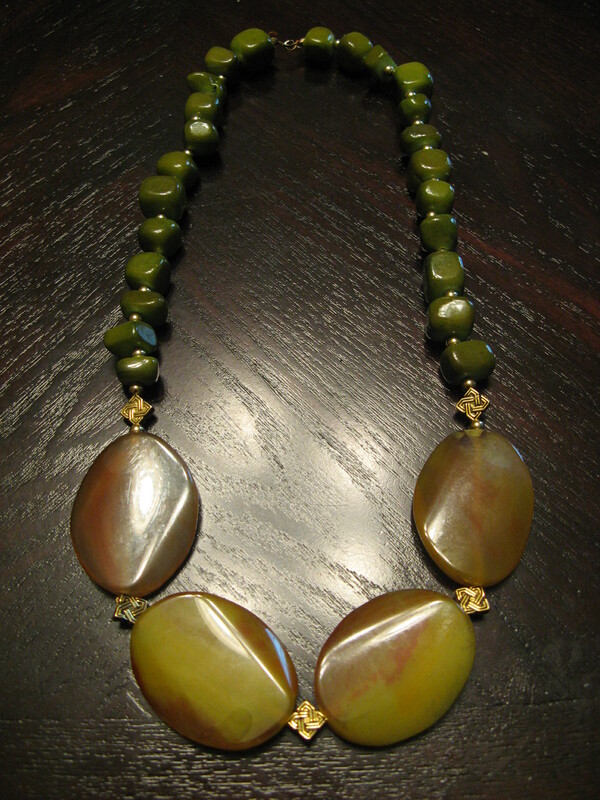 I also used gold-tone beads as spacers between the jade nuggets and some left-over metal pieces from my Necklace Makeover as spacers between the agate beads. I was quite pleased with the finished product.